Viewing this blog post yesterday afternoon was like a God send to me, mainly because I was thinking this week of going to purchase a wax heater as I have a kit but no heater - hmm. But while doing a blog catch-up & being on Sriya's blog she had a post on D.I.Y. wax hair removal. Screaming GOD SENT. I've been waxed before - professionally of course & any-time I got a Brazilian wax it hurt more than my ribcage tattoo - says a lot right !? I hated it but it has to be done so times are hard right now, money has to be stretched and we need to find things that work for us where possible. Meaning a lot of D.I.Y. ladies so, I made the wax but I changed the two cups of sugar for a cup of sugar & a cup of honey and of course did the rest of the ingredients to a T.
Thank goodness I didn't turn the mixture black *phew* but I was sceptical if it was going to work, I had friends on stand by just in case it was the case of A&E !! So like I said I've already got waxing strips & spatula's and that is my mixture....ermmm I used freshly squeezed lemons soooo, those may be the lemon bits in there. So I dipped my spatula into the mixture and spread it on my arm. Applied the waxing strip onto my arm and gently rubbed my palm across is to make sure it sticked onto the paper well enough for the removal part. & I ripped against the hair growth...& voila. That is my successful wax removal & I continued all around my arm & onto the opposite side. How I forgot how damn smooth waxed skin feels. I'm in love, I did nothing but gush about my arm last night. I want to wax everyone. I have gone wax mad!! Have you ever self waxed or even made your own wax ? Willing to try ? D.I.Y. 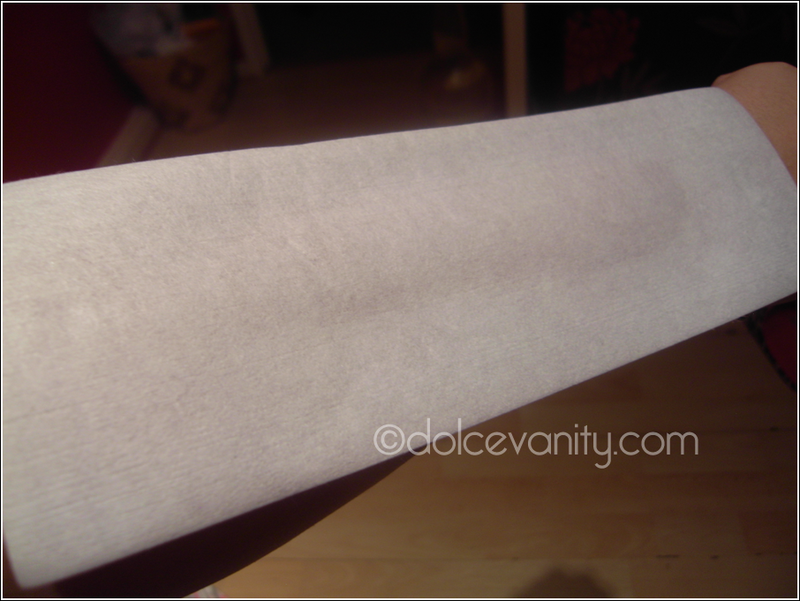 Waxing Removal Instructions : Lipgloss & Leopard Print Blog. I am SO glad it worked for you :D Imagine if you went through all that trouble and it didn't! Phew! @LipglossAndLeopardPrint. LOL! I was thinking to myself ... watch this not work for me it would be my typical type of luck too. I would say Ebay. That's where I normally find my bits & bobs for stuff as in Luton, they hardly have NOTHING here to buy :o( - that I want. So I'd try Ebay babes. I get waxed but I feel like I would have a hard time doing it myself. Great post. I will definitely have to try this. @LaTonya I know I'd have a hard time giving myself any sort of Vayjayjay decoration lol but arms, legs etc I think is a sorted thing. Thanks for the informative blog post. ;) I've waxed myself before, but I always bought the wax from a store. I will definitely try this one out. @GlamourMe Yeah see I would of got some microwaveable wax or a wax heater but after seeing the blog post by Syria I decided no need. Oh wow, it looks amazing! Thanks for this! @LipglossAndLeopardPrint. join my club LOL! It's all necessary product buying ( coughs ) I will try. @Alina A. Hey sweetie, I couldn't 100% say about any other body part besides my arms at the current time as I removed hair previously before seeing Syria's post. @Jennifer lmao, wait until I've ventured elsewhere on the body and then I'll be saying mmm it hurt. Might of been just because it was my arm or my pain tolerance has been set to high due to tattoos LOL! This is amazng! WAX me! lol, I hear ya in the expensive waxing tip DIY is the way forward when your being a penny pincher like me! @Imo YAY, I will kidnap you and go wax crazy LOL! Yes, it's all about making those pennies stretch so if we can do it for less and at home why not. 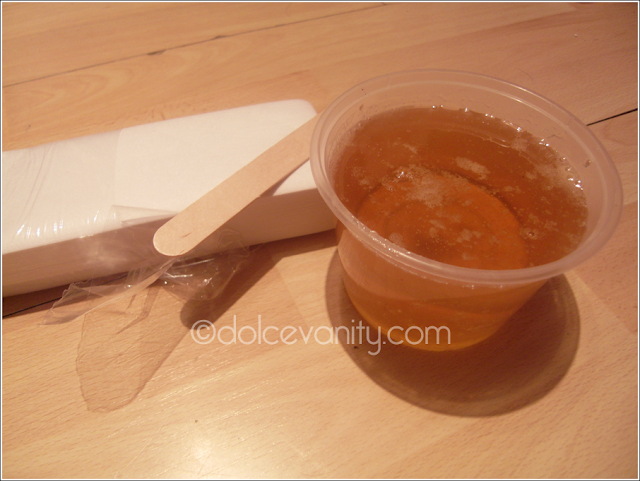 I've been slowly wading into home waxing/sugaring -- This is so much better than the process I've been using! Where were you a few months ago when I was getting started? :) I just invested in a wax warmer this week (great deal at Sally Beauty), but I wouldn't have had the guts to do it if I hadn't tried doing something like this at home. I'm totally comfortable with doing my own eyebrows now... next up, legs!